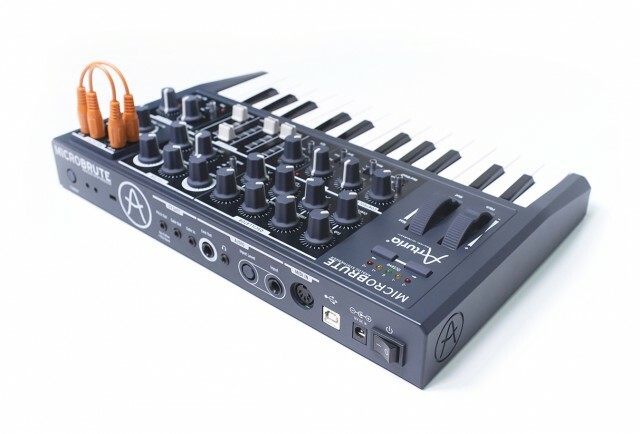 If there was any doubt left, the analog monosynth keyboard has gone mainstream now. 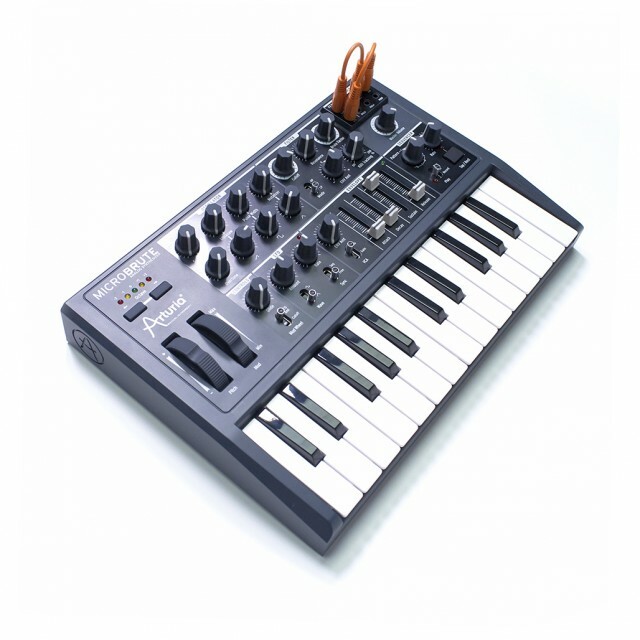 Fusing 70s electronic instrument design ideas with nerdy lust for sound with modern ideas about connectivity, accessibility, and timbre, a generation of instruments has made it a wonderful time for synth lovers to be alive. And the latest from Arturia is compact and inexpensive, while still managing to squeeze in some unique sound-shaping concepts and a tiny patch bay for modular use. And the price for all of this, complete with a pint-sized keyboard: just about US$349 / 299 € / £269 (EUR and GBP includes VAT). The MicroBrute, like the MiniBute, is a one-oscillator synth (plus one unique addition, more on that in a moment). But it makes up for that single oscillator with a host of sonic features, and a very small size and price. Arturia are also quick to note that they have the first production units arriving on English shores at the beginning of November, and so you will see this ship right away. All in all, it’s a rather nice design. I’d love to see more multiple-oscillators, or for that matter, even more digital/analog hybrids as they offer some additional oscillator coloring options. (It’s only available as a kit, but look at the versatility of the stuff Mutable Instruments is making in that area.) But you can’t argue with the fun factor of this little synth. 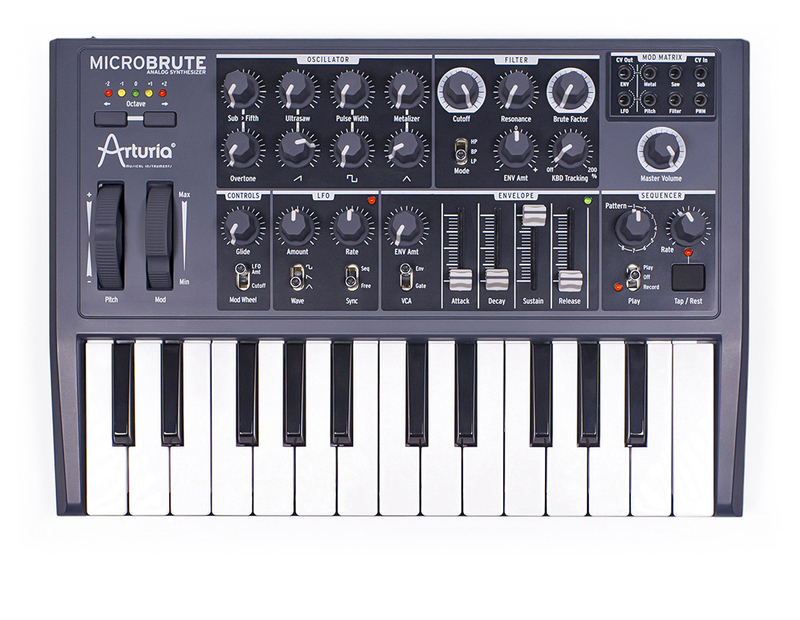 And as with the MiniBrute, they’ve coaxed about as much as you can out of that single oscillator. 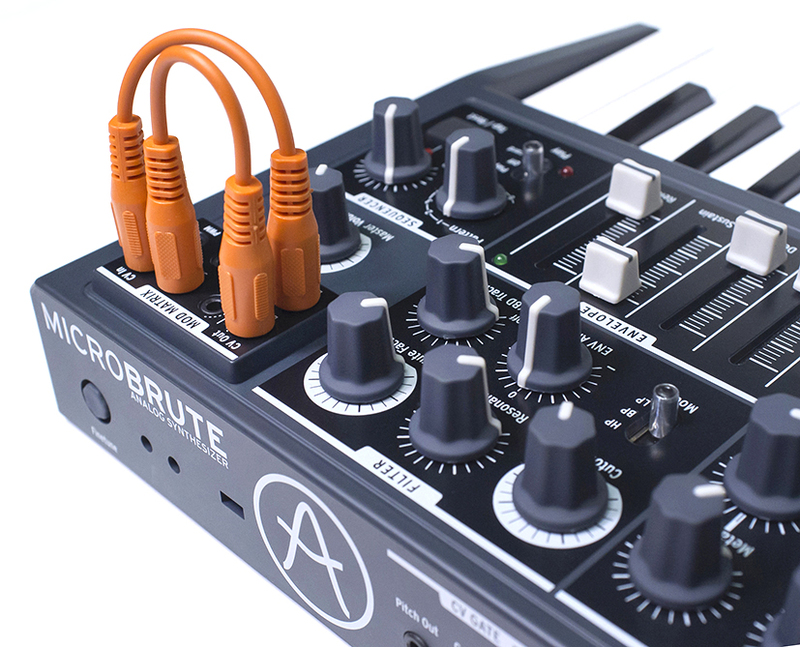 The MiniBrute sounds really like nothing else. It’s something really distinctive; it drips personality as you use it. And packing in semi-modular capabilities is a terrific twist, giving you more in this smaller package rather than less. We’ll be talking to the designers and trying one out for ourselves soon.